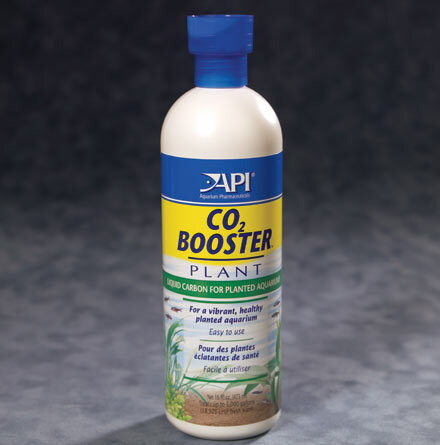 Carbon dioxide is one of the other major factors that will decide whether the plants grow to their full potential. In a aquascaped tank, you will have to be more careful when juggling between the care of the plants and the fishes, so that both can exist in the system whilst balancing and benefitting each other. There are currently a few ways to deliver this to the plants, some are easier and some are cheaper but they all do the same thing. Choose carefully, but for the long term, if you truly believe you have a passion for aquariums and you have money to spend, buy the pressurised CO2 and the biggest keg you can find. Carbon dioxide should be released into the tanks for a maximum of 10 hours and a minimum of 8 hours per day. This is to prevent algae growth. Too much carbon dioxide in the tank will affect the fishes’ health, and it might also cause the fish to die. One sign of excess carbon dioxide in the tank is that you can see fishes starting go towards the surface of the water to breathe. When that happens, carbon dioxide supply into the tank should cease whilst an aerated oxygen pump can be introduced to pump oxygen in so that it will balance out the carbon dioxide level. For the record, a 2 ft x 1.5ft x 2ft tank should have a minimum 1 liter tank of carbon dioxide, which should be able to last for a month. This can be ordered from any aquatics pet shop. Pressurised CO2 – A pressurised bottle and having a solenoid valve is by far the easiest and best option; the only problem is price. 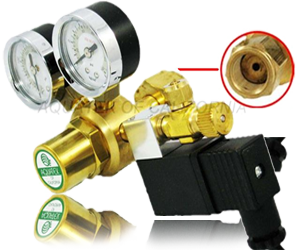 The regulator will allow you to exactly tune the CO2 output to give you the best results. The CO2 tank is a little bit bulky, therefore most people will have a special cabinet/storage space underneat the aquarium to pleasantly hide away the tank and and filtration system. 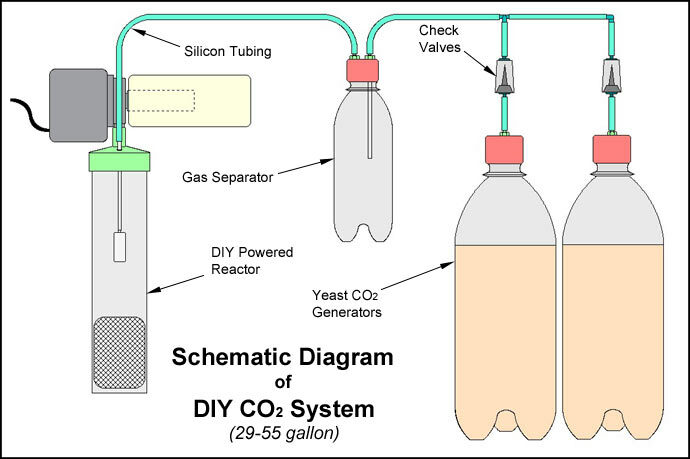 DIY CO2 – This will do the same thing as the pressurised system but it is more of a hassle and needs to be changed every few weeks. You will need to create the CO2 through fermentation done from yeast on sugar. It requires injecting of CO2 straight into the filter or into an up turnedcup and it will work just fine. The upside is this is incredibly cheap, sugar is about RM4.50 a kilo and a 2 litre bottle will only require 500g, so it’s around 60cents a refill with the cost of yeast. But personally, I think this is kind of a hassle. 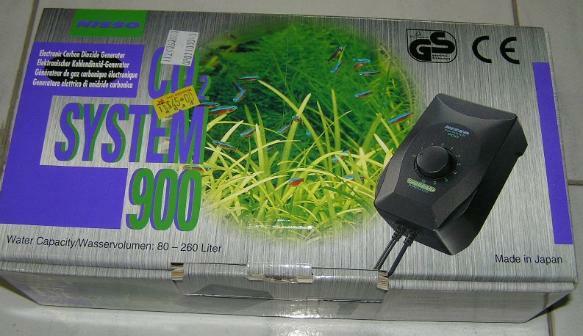 Since we are already prepared to build a new aqua world, why not invest on some really good equipments! CO2 Liquids – Seachem excel and other forms of carbon diffused in liquid works fine. This is not really a cost effective method though, and it may be a hassle to continue using the product every day or every other day. Electronic CO2 generator – The electronically generated CO2 is also said to work ok, but once again only for smaller tanks, and the refills are considered slightly costly. CO2 tabs – this type of tab is suitable for small tanks. For whoever who would like to try out to have a mini under water world, this will be a good choice. Carbon dioxide indicator which will show the level of carbon dioxide in the tank: Green colour indicates an adequate amount, Blue indicates that the level is too low whilst Yellow indicates a level of CO2 that is too high. Carbon dioxide solenoid regulator (about RM 300) is an electromagnetic device that functions as a switch to control the stop and flow of carbon dioxide in an enclosed system. It is a small, but crucial component that is used with devices that release a controlled amount of carbon dioxide into places such as garden rooms, chambers or reservoirs. A carbon dioxide solenoid is commonly composed of two parts: a solenoid and a solenoid valve. Within the carbon dioxide solenoid, the solenoid's role is to convert electrical energy into mechanical energy, and the solenoid valve's role is to use that energy to release gas flow from one part of an enclosed system to the next. In horticulture, a certain amount of carbon dioxide is transferred from the carbon dioxide tanks, through the regulator, then through the carbon dioxide solenoid and then into the enclosed area. 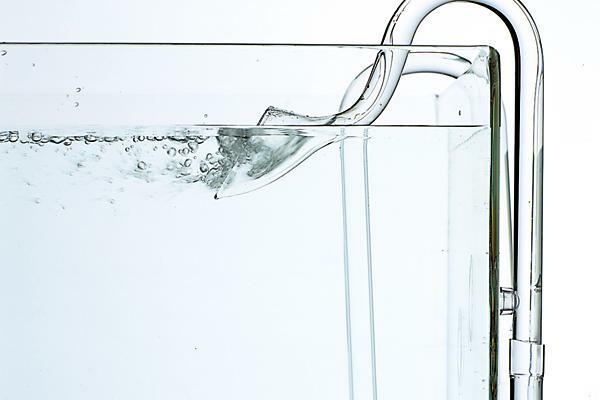 - A better circulation of carbon dioxide in the system as it draws water from the tank, feeds in carbon dioxide into the water, and pumps it back into the tank. Any aquatic system requires a filtration system. Like our liver which filters out the toxins from our body, filtration systems are essential in sustaining a natural and healthy environment for your fish. Without a filtration system for your water, it would almost be impossible to keep tropical fish as a pet. The filtration system has to be cleaned and maintained properly and regularly. The fan inside the filtration system must be washed regularly for a full performance. In short, this cycle is where the bacteria grown will digest the ammonia from waste, turning it into nitrite. Although nitrite in hard water or water with a high pH level is actually more toxic than ammonia, what happens is that the bacteria filter turns the nitrite into nitrate, which is relatively less harmful to the fish. If the water in your fish tank is not changed on a regular basis, the nitrate accumulates and becomes harmful, causing fish to stop eating and becoming stressed. Additionally, the growth of algae is accelerated. Therefore, it is imperative that you follow the cycling process and maintain a clean tank (which regularly removes nitrates) for the health of the fishes. 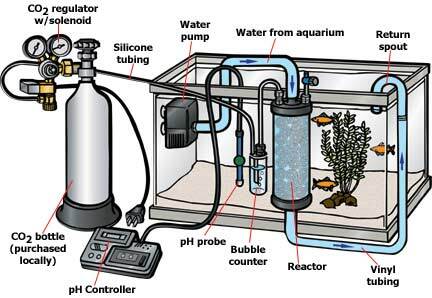 Without biological filtration, it would be extremely difficult to sustain a thriving aquarium. 3. Chemical Filtration – This filtration process removes dissolved wastes by flowing water through activated carbon. Activated carbon is extremely porous and when water flows by it, the pores trap dissolved wastes and minerals such as phosphate. Activated carbon can also remove odors and ammonia. Chemical filtration is not required to maintain healthy fishes, but it can be effective in maintaining high water quality when used in conjunction with other filtration processes. 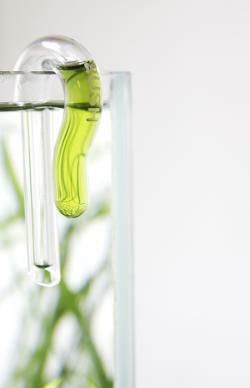 When using activated carbon, it is good to note that the carbon will also remove medications from your aquarium water. A good quality carbon which come with fluoride and silica control agent will need to be added into the filtration system which will help to take away extra organic waste and iron. 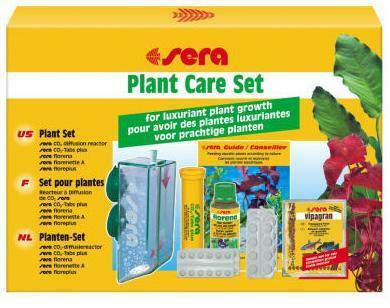 But this should only be used for the first three months when the tank is just newly set up due to the soil. The carbon will also take away good mineral that needed for the plants and fishes therefore minerals and nutrients have to be replenished.